Can you find the clover? After another luscious drenching Michigan rain, I noticed everything went on a growth spurt – not only all of the flowers and vegetables, but the weeds as well. Suddenly there was a blanket of green from a host of tiny intrusive plants. It would take forever to pull them out one at a time, but since the soil hadn’t dried out yet, it was still easy to loosen the surface and rub out the weeds root and all a hundred at a time. It’s comforting how truth is always consistent under diverse settings. The truth of God’s word, like water, softens the soil of our heart which enables growth in one area of our garden and enables easy weeding in another. Additionally the sun, like truth, will dry out the surface of the ground to stabilize and protect the roots of fruit bearing plants while inhibiting the germination of new weeds. However, if we procrastinate weeding the garden of our heart, true to life, the weeds will take a deeper hold and be more difficult to remove, especially after a season of light. Watering is necessary in spite of the fact it invites the more aggressive weeds in for another go. The good news any experienced gardener can attest to is the more weeds you deal with this season the less you will have to in the next. But be forewarned. Bad influences and distractions – even seemingly worthwhile responsibilities, like weeds, can camouflage themselves to look like good stewardship fueled by the best of intentions. 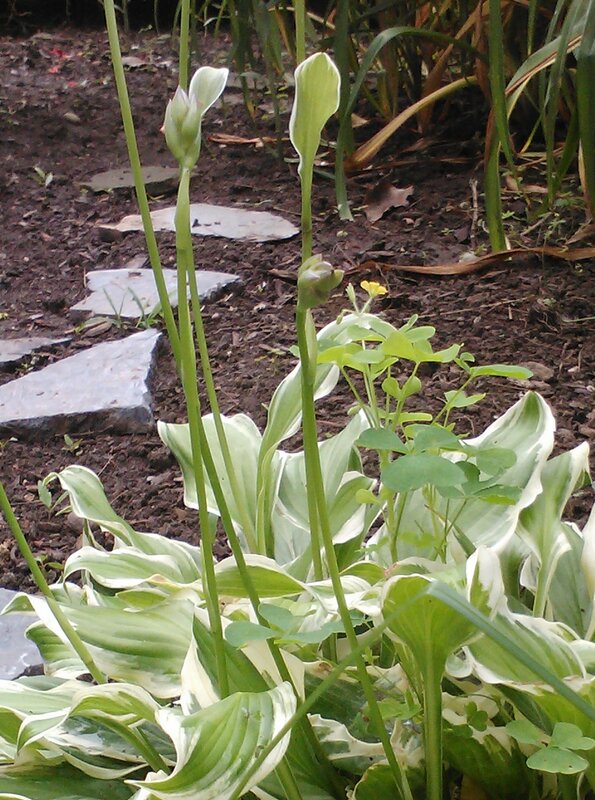 It’s understandable the weeds which often get overlooked are the ones that most resemble flowering plants in size, shape and color or hide behind or underneath a larger established fruit bearing plant. That’s why it’s so important we remain open to constructive criticism and frequent fellowship. It would be impossible to see all the weeds in a natural garden from a single perspective or assume any one could even know the difference between a weed and a fruit bearing plant, especially in the early stages of growth. If that holds true for a natural garden, how much more for a spiritual one? There are a lot of things that look like weeds until they bloom. Why not just spray your garden once or twice a year (i.e. let your Bible collect dust and go to church on Christmas and Easter)? You can’t spray the weeds without disturbing the soil and destroying some good plants as well. 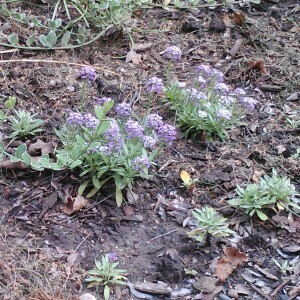 I had planted Sweet Alyssum, a perennial flowering plant last spring. Perennials don’t survive from year to year like annuals (i.e. roses), but the Alyssum must have seeded itself. The day after the latest rain let up, it was hard to notice the difference, but, mixed in the myriad of tiny weeds, were small patches of alyssum. 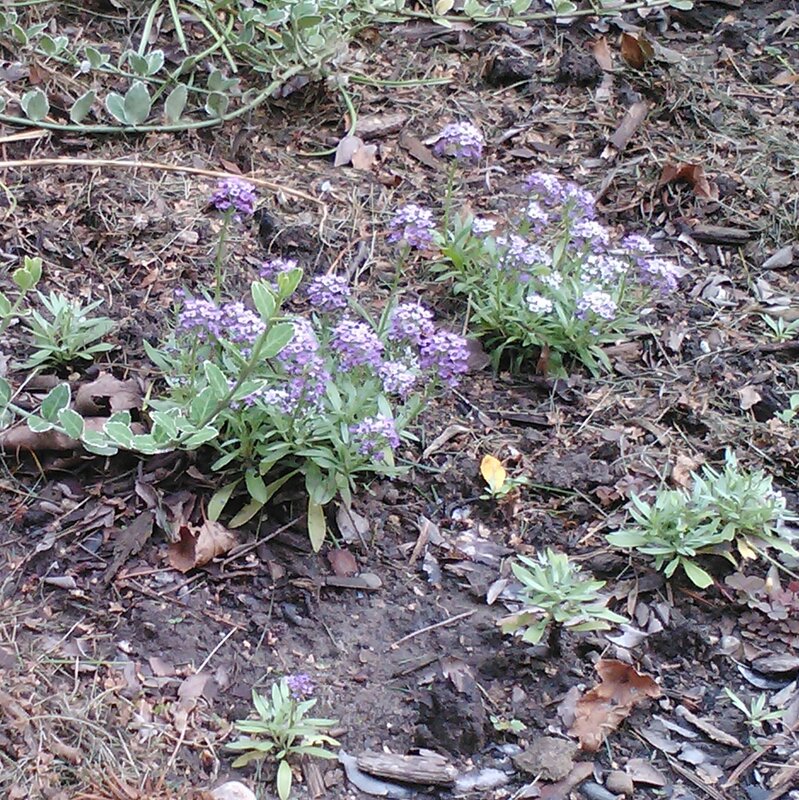 Had I not been intimately involved with my garden, I would have undoubtedly wiped out the Alyssum with the weeds. Following God and understanding truth isn’t a part time affair. Everyone knows what happens to weeds if they’re not addressed immediately. There are no easy answers or miracle pills – nor should there be. Isn’t it just like us to think we can manufacture a short cut and inadvertently render impotent the exercises intended to strengthen our character and draw us to a better understanding of truth?